Prominent & Leading Manufacturer from Nagpur, we offer perforated metal sheets, galvanized perforated metal sheet and perforated metal sheet. We offer our esteemed clients with a qualitative range of Perforated Metal Sheets. These perforated metal sheets are manufactured using premium grade. 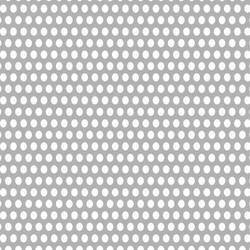 We offer these perforated sheets in oblong, rectangular, square, ovaland cable tray shapes as per the clients’ requirements. Moreover, our range finds wide usage in sugar screens and is also used in various centrifugal machines. 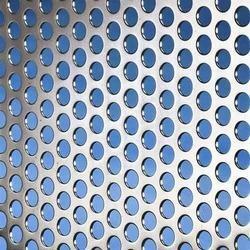 Relying on the prudent vendors, we bring forth Galvanized Perforated Metal Sheet for our customers. Galvanized using best quality zinc factors, it is highly resistant to corrosion. The offered range of perforated metal sheets is widely demanded for the long lasting life and the smooth finish of the sheets. 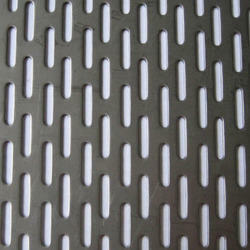 Also, we assure an utmost quality of the perforated metal sheet offered. We are the leading firms, engaged in manufacturing and supplying a wide array of Perforated Metal Sheet. These products are widely used to provide protection and security against theft and burglary. The products find their applications in various driveway gates, pedestrian gates and various others in both residential as well as commercial places. Moreover, we assure our clients to deliver a quality tested array.